This blog was written by Samantha Whiteside. Meet our blogging fitness specialists at the NIFS website. Find it nearly impossible to eat a well-balanced breakfast, prepare nutritious dinners, or snack on nutrient-rich foods? You are not alone! 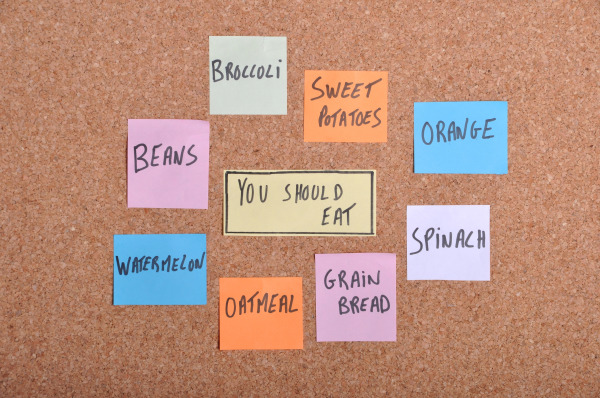 Follow these simple tips on how to plan healthy meals and start eating smart. Don’t attempt to make too many changes at once. Start with switching to whole-grain breads and sides. Then bring in more vegetables and fruit. Next, focus on lean protein. Then switch to low-fat dairy. Focusing on one thing at a time will ensure that this will be a lifestyle change and not just a fad diet. Use the Internet as a tool to find quick and healthy recipes, foods that are low in calories and full of fiber, and alternatives to typical cookout or holiday dishes. Plan out your meals a week ahead. Take one day a week to write down what all meals will be and stick to it as best you can. Secondly, cut up all fresh vegetables and put them into clear containers as soon as you bring them home. This will make salads and all other meals much faster to assemble. Additionally, always keep canned vegetables such as mushrooms, beans, tomatoes, and beets on hand for casseroles, soups, and homemade sauces. Ensure that each meal contains at least two different colors of fruits and vegetables. Different colors provide different nutrients and ensure a well-balanced diet. Additionally, try new things. Introduce a new fruit or vegetable or alternative protein every few weeks. Not only does this keep things interesting, but it expands your knowledge of nutrition and aids in a more nutritious food intake. Sound reasonable? By doing a little research and prep work, adding in variety, and keeping things in moderation, you will achieve healthy meals on a daily basis and have plenty of time to spare. Corporate Fitness: Should I Exercise When I’m Sick? Most people fall victim to mild colds or other bugs in the course of the year, making them second guess whether or not they can still exercise while being sick. Sometimes, when you are sick, you are not physically able to exercise, so the obvious choice is to stay home and rest. But what if you just have the sniffles or a pesky sore throat? WebMD says that in most cases, practicing exercise restraint is the safest bet. It is a myth that exercising can sweat out toxins. 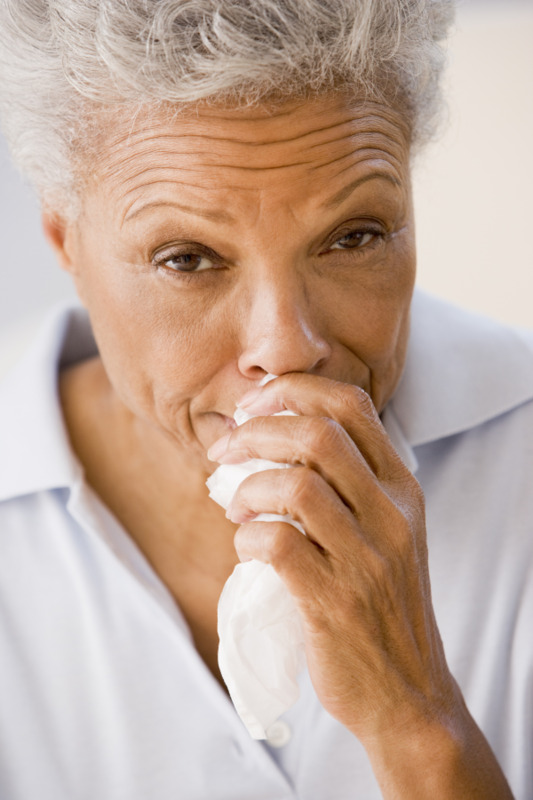 Your immune system has the sole responsibility of fighting and protecting from illness. If you are contagious. First and foremost, if you think there is any chance you could pass on an illness to other participants in your corporate fitness center, please stay home. Gym equipment is a major carrier of germs. Different sicknesses have varying lengths of contagion periods. A person with a very severe stomach virus can be contagious up to a week before he or she experiences symptoms and up to two weeks after recovery. If the type of sickness will worsen with exercise. Respiratory infections can be aggravated by working out, especially by performing high-intensity cardio. Migraines, other headaches, or body aches can also worsen with the movement of exercise. Ask yourself whether there is a chance the exercise session will leave you worse off than before. If your symptoms are below the neck. In one of my Exercise Science courses, we were taught that if symptoms were only above the neck and no fever was present, a person might be fine to continue working out, but at a lighter level. However, symptoms from the neck down, for instance nausea or stomach pain, can worsen with exercise. When you do resume exercise after being sick, start light and build your way back to the level you were previously at. The good news is that a boosted immune system is a well-known benefit of a regular exercise routine, so encourage your corporate wellness participants to keep moving while they are healthy! We’ve seen muscle cramps strike athletes on the basketball court, football field, and during running events, and many of us have experienced them first-hand. This sharp, sudden pain can be so fierce that it is temporarily crippling. A cramp may also be physically manifested by a hard lump under the skin. While muscle cramps generally resolve themselves and don’t cause any lingering damage, their onset can be extremely frustrating, not to mention painful, when they choose to strike in the middle of a crucial game or important workout in the corporate fitness center. Remedy: Stay well hydrated during exercise (even during colder months) by drinking plenty of water. Consume a diet rich in fluids and fresh fruits and vegetables. Remedy: Consume foods containing potassium (avocados, nuts and seeds, beans, dried fruit, bananas, potatoes), calcium (dairy, dark leafy greens; fortified cereals, juices, or grains), and magnesium (bran, nuts or seeds, dairy, fish and seafood, spinach, beans, whole grains). A sports drink may be appropriate, especially for high-intensity exercise lasting longer than an hour. Remedy: Limit workouts in extreme heat and humidity. Take frequent breaks to hydrate and seek shade. Remedy: Deconditioned individuals should start an exercise program slowly. Consult a doctor, if necessary. 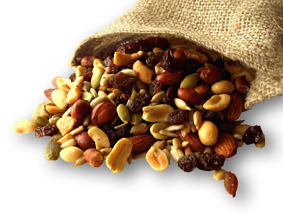 Snacking Is Good for Employee Health! Your stomach is growling, you’re having trouble concentrating at work, and you can’t help but count the hours until dinnertime. Sound familiar? Nix the idea of snacking as a diet disaster and feel free to indulge! As long as it’s not potato chips from the office vending machine or candy in the office, snacking can lead to long-term health benefits and healthy weight maintenance. Aim to eat a 150 to 300-calorie snack with a mix of carbs, protein, and healthy fats in between meals. Most likely, this will average out to eating approximately every two to three hours. Consistently fueling your body provides a boost to your metabolism and prevents the overeating that can happen all too easily when you approach a meal with an empty stomach. Just remember to compensate for the snacks' calories by consuming smaller meals, so that your calorie distribution remains balanced throughout the day. What other suggestions do you have for between-meal nibbles? Balance: simple right? I regularly work with a senior population that tells me, “My balance is lost” or “I don’t have balance.” They are under the impression that you either have balance or you don’t. But your body’s ability to maintain your balance is much more complicated than having it or not. Your body, or your brain, processes multiple sensory and motor inputs to help you stay upright. Vestibular (inner ear): This is a system of channels in your inner ear that allows your brain to know your body’s position, relative to gravity, while your head is moving. Vision: This system works with your vestibular system to keep objects in focus by relaying to the brain the location of external objects in relation to the body. Somatosensory (nerves): This system is used by the brain to know the position of your center of gravity in relation to your base of support. Your brain uses the information from your sensory systems with your motor system, which works to control the actions of your muscles to detect changes in your body position with respect to your base. Your balance naturally diminishes as you age because your brain’s ability to receive and integrate sensory information is reduced. This is why it is important to start training your balance before you begin to notice any problems. If the function of one or more of your sensory systems declines (say you lose your vision or develop a neurological condition that would affect your somatosensory system), your brain will have to rely more heavily on the other properly functioning systems for information. What Can I Do to Work on My Balance? Regular exercise (cardiovascular, strength, and flexibility training) is great for areas of your balance. But if you're looking to focus more specifically on balance, the easiest way is by adding or making simple changes to your current exercise program. You can do this by changing your base of support to make it smaller. The smaller or narrower your base is, the more difficult it is to maintain your balance. A narrow stance: Stand with your feet together, side by side. Semi-tandem stance: Stand with your feet together and then take a big step forward with one foot. Your feet should be hip width apart with a step length between them. Tandem stance: Stand with your feet together and then place one foot in front of the other so you are standing heel to toe. Other ways to manipulate your base of support include using a BOSU stability trainer, standing on a foam pad or wobble board, or using an exercise ball. These will provide an unstable surface for your base of support, making it even harder. You can also add exercises to the balance stances listed above to challenge your sensory inputs by turning your head side to side or looking up and down, closing your eyes, or reaching with one or both arms. Balance isn’t just one thing; your brain is constantly working to process all kinds of information to keep you on your feet. But just like any other type of exercise, with some practice you can certainly do a lot to improve your balance. This blog was written by Lori Griffin. Meet our blogging fitness specialists at the NIFS website. With the start of a new year, work schedules can begin to take over. Try as we might to make a permanent slot in our schedules for gym time, appointments and assignments seem to pop up at the most inconvenient times. Often times people tend to believe that just because they don’t have a whole hour to spend at the gym, there is no use in working out at all. However, that is very far from true. Even if there aren’t enough minutes in the day to make the trek to the gym, don’t forget about the power of your body weight. There are countless exercises that involve no equipment and are quick ways to fit your workout in anywhere. When thinking of a circuit away from the gym, think in large movements. Try to involve as many muscle groups as possible and incorporate total body movements to maximize your caloric burn. Next time you find yourself deleting gym time from your calendar, try this circuit of exercises to stay fit. This is also a great workout to take with you when traveling, whether for work or for pleasure. Repeat this circuit three to five times. Whenever you're short on time, you can use this workout to keep active without having to take time out to hit the gym or corporate fitness center.